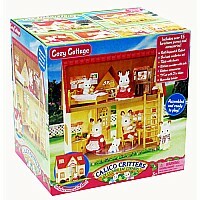 Perfect way to start a Calico Critter collection! 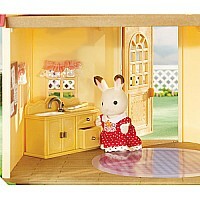 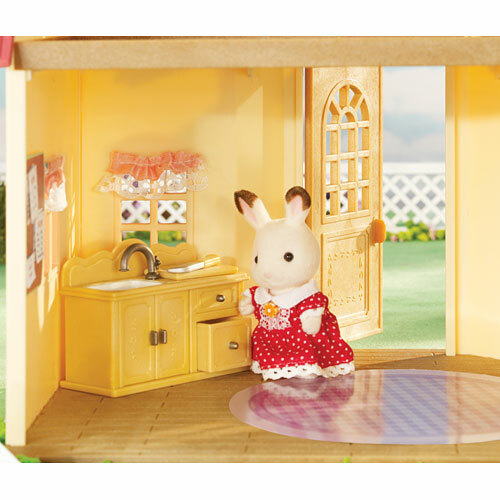 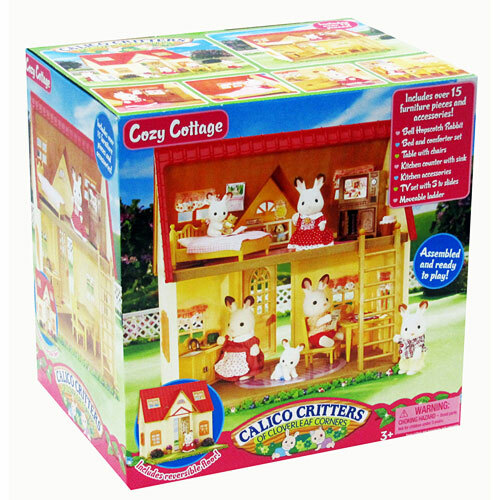 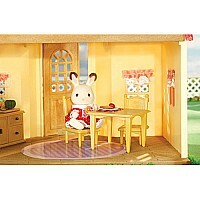 This cozy cottage comes fully assembled and ready to play with everything you need for hours of pretend play fun. 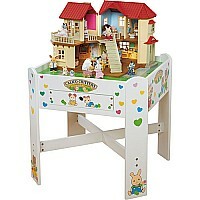 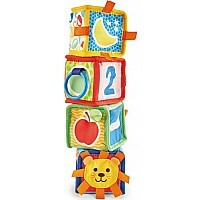 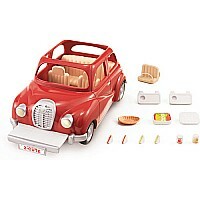 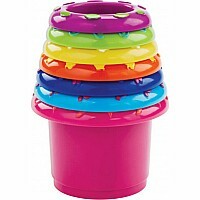 Includes moveable, reversible floor to use as a front yard, expand the 1st floor, or create a 2 story house! 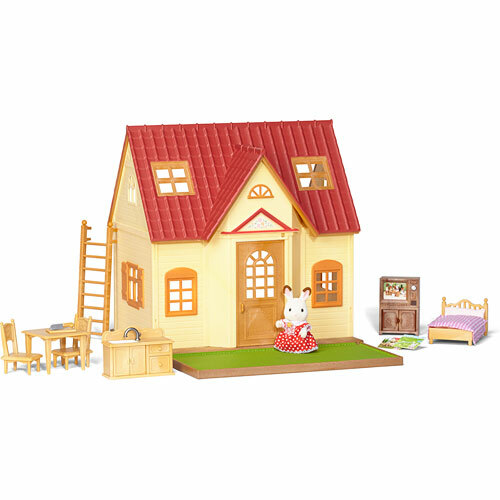 Over 15 furniture pieces & accessories including Bell Hopscotch Rabbit, bed with matching sheets, square table with chairs, kitchen counter with sink & 3 storage areas, cutting board with chopping "knife", and moveable ladder for easy access to each floor. House measures 10.5" x 8" x 10.75".